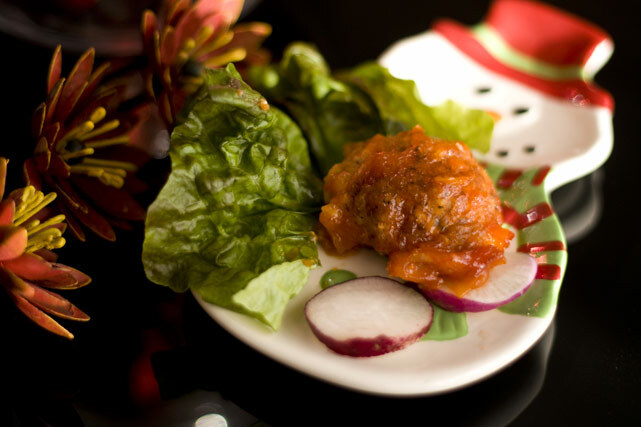 DJ veganized a vegetarian meatball recipe for Christmas dinner and then again at New Years Eve. It tastes amazing with garlic mashed potatoes and a big salad. It’s omnivore-approved! 2. In a large bowl, mix together cheddar cheese and cottage cheese until well combined. Add onions, walnuts, basil, oregano, salt, pepper, sage, wheat gluten and bread crumbs; mix until well combined. Slowly pour in vegetable stock , mixing at the same time until well blended. 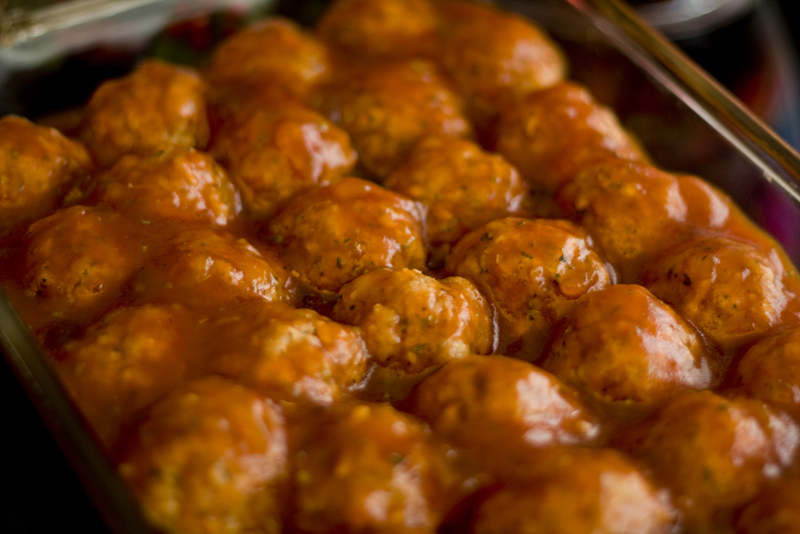 Form the mixture into small “meatballs” and place them into 9 x 13 inch baking dish. 3. 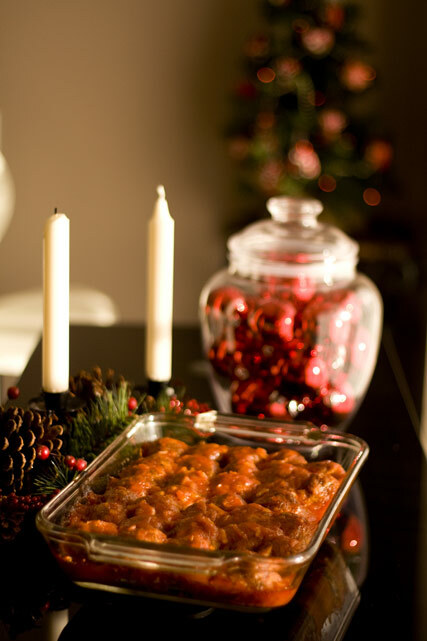 In a small bowl, mix together the olive oil, vinegar, apricot jam, ketchup, oregano, onion flakes and garlic powder. Pour over meatballs, making sure that they are completely covered. 4. Bake uncovered for 35 to 4a min.